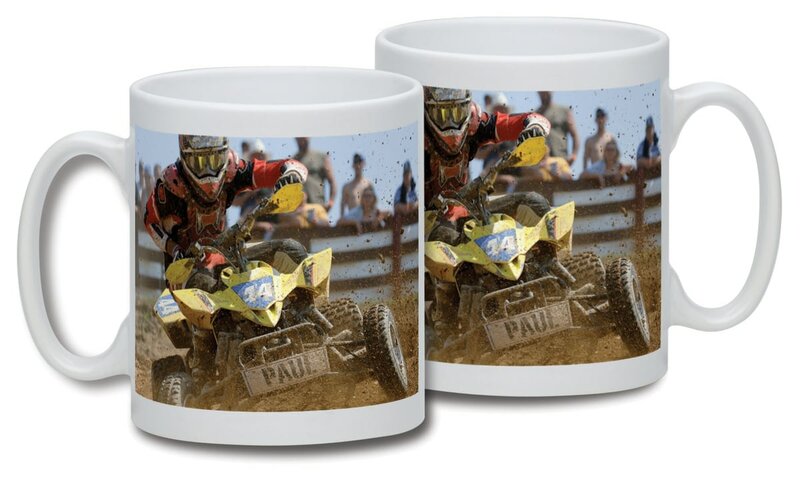 This all-action mug is perfect for the macho, extreme sports enthusiast who is an off-roading individual too, whether taking part or watching from the armchair. A name is integrated into the image on the front bar to the quad bike. The image appears on both sides of the 10oz ceramic mug. This mug is safe in a dishwasher and a microwave, and is scratch resistant.